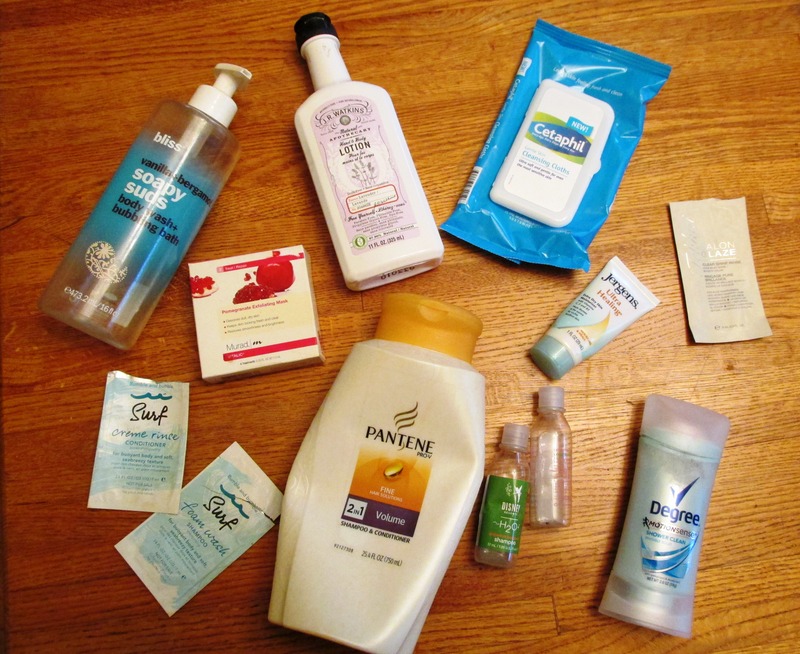 Exciting news from the shopping ban front: I’m now down to the last of the little shampoo and conditioner packets in my beauty stash, which means that the purchase of new shampoo and conditioner is on the horizon! Hooray! If you have some new recommendations that I simply must try, please feel free to leave them in the comments! Bumble & Bumble Surf Crème Rinse Conditioner: This conditioner is supposed to encourage the natural, beachy waves in your hair. The package recommends letting your hair air dry. When I used this product as directed, paired with its coordinating shampoo (see below), it made my hair extra wavy. When I used it as a regular conditioner and followed with my usual heat styling, it still brought a little wave to my hair, in a very pretty way. I’d say this is a useful product if wavy hair is a look you’re after! Bumble & Bumble Surf Foam Wash Shampoo: This shampoo lathers up satisfyingly well and left my hair feeling super clean. However, in addition to bringing out the waves in my hair, it brought out the frizz. Followed by the appropriate frizz fighter this could be a real winner for days when you want to rock beachy surfer girl hair. Bliss Vanilla & Bergamot Soapy Suds Body Wash & Bubbling Bath: I am a huge fan of this sweet scent, having fallen for it when I discovered the Bliss body scrub featuring this combo. Unfortunately, I felt like this body wash left something to be desired. I had to use a lot of it (like eight or nine pumps) to get enough of a lather to wash head to toe and it didn’t leave me feeling all that fresh and clean. I will not be repurchasing this one. Murad Pomegranate Exfoliating Mask: This has been a staple in my skincare stockpile for years. It’s a great brightening mask that is perfect for combination skin. JR Watkins Natural Apothecary Lavender Hand & Body Lotion: I’d call this an average body lotion. I like it best as a hand cream. It’s a little thick and takes a while to absorb, but isn’t all that moisturizing. Plus, I found it occasionally clogged pores on my body. Cetaphil Gentle Skin Cleansing Cloths: As you can see, these have made it into the regular lineup in my household. I love them. You can read more about them here. Fekkai Salon Glaze Clear Shine Rinse: This at-home glaze is supposed to add shine and boost color. It made my locks feel extra strong and healthy, but did little to improve shine and made my hair incredibly flat. As a big Fekkai fan, I found this one quite disappointing. Jergens Ultra Healing Extra Dry Skin Moisturizer: If you’re on the lookout for a more moisturizing body lotion now that fall is upon us, run, don’t walk, to your nearest drug store and snag a bottle of this stuff. I love it! It absorbs so fast, has a mild but delightfully clean scent, and leaves skin super soft. Winner! 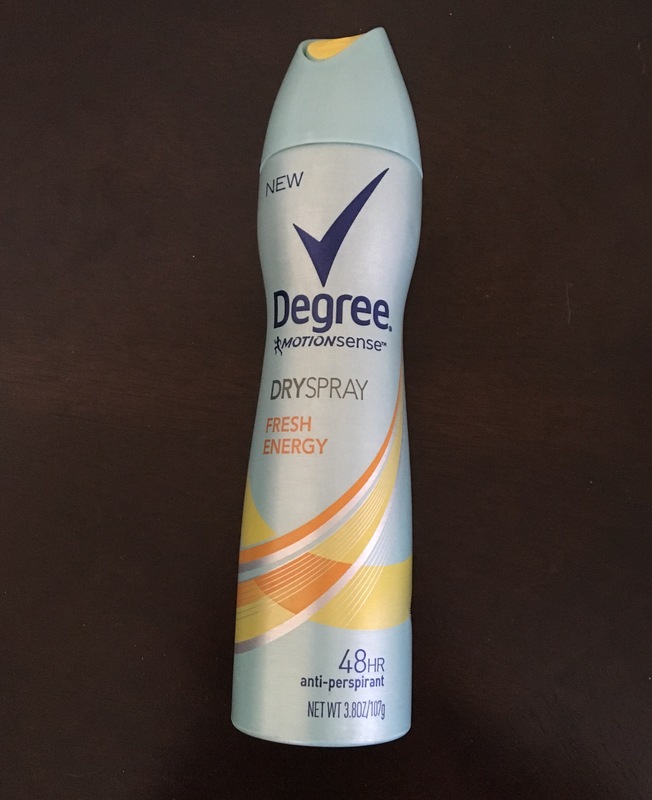 Degree Motionsense Shower Clean Invisible Solid: I’ve been using this for months, and it’s still a solid deodorant, but I’m feeling like I need a change. 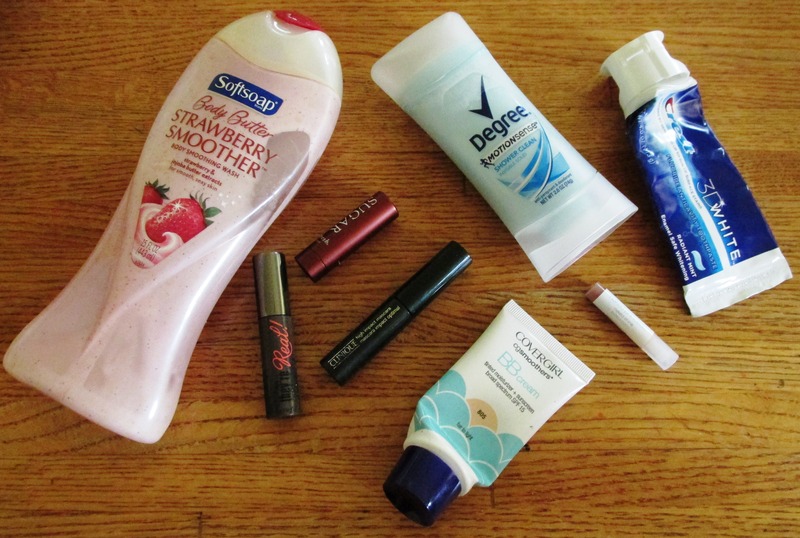 Any suggestions for top-notch antiperspirants would be much appreciated! Disney Resorts H2O+ Grapefruit Bergamot Conditioner: This little conditioner came home with us on a recent trip to Disney World, so it makes sense that it basically smells like vacation. It’s also a really high quality conditioner, and left my hair noticeably stronger – I lost far fewer hairs in the shower while using it! Disney Resorts H2O+ Grapefruit Bergamot Shampoo: As with the conditioner, I loved the smell. It has a weird, almost gelatinous texture, but got my hair very clean and left it shiny. Pantene Pro-V Fine Hair Solutions 2 in 1 Volume Shampoo & Conditioner: This is one of those bottles that has been sitting in my shower forever. It’s a perfectly decent 2 in 1 product, and it is a wonderful volumizer. It can be drying, so I would avoid it in the colder winter months. Other than that, it smells great and is perfect for days when you’re short on time. Softsoap Body Butter Strawberry Smoother: This thick and creamy body wash uses strawberry seeds to exfoliate and jojoba butter to moisturize all in one go. It did soften my skin considerably, allowing me to skip my normal post-shower lotion, but acne-prone girls beware – I found little blemishes occasionally popped up on my arms and legs while using this product. Fresh Sugar Lip Treatment: Sad to see this one go! This whole line of lip balms, from this original version to the many tinted ones, is fantastic. A must have for smooth lips in one swipe. Benefit They’re Real! Mascara: This is hands down one of the best mascaras on the market today. It really does amp up lashes to a surprising degree. Use this if you want thicker, longer, darker, fuller lashes. You can even get away with skipping your eyelash curler if you’ve got this on! Clinique High Impact Mascara: This is a perfect day-to-day mascara. It looks natural, with a touch of polish. It also won’t clump, flake, or hurt sensitive eyes. Naked Princess Naked Shine in Barely Coco: I used up this tiny sample in a matter of days. If you’re looking for a new workday lip gloss, this is it. It’s light and smooth, and Barely Coco is a lovely pinky brown shade that looks natural but better. I will absolutely be buying this when my ban is up! Covergirl CGSmoothers BB Cream: This is not the first time this has showed up in my empties list. Again, this is my favorite wintertime daily moisturizer, as it is a perfect match for my fair complexion and evens out imperfections in a flash. Crest 3D White Flouride Anticavity Toothpaste in Radiant Mint: I’m always trying different whitening toothpastes, and I always seem to come back to this one. It has a nice flavor, it brightens my smile and it leaves my mouth feeling fresh. Degree Motionsense in Shower Clean: Lately I’ve found it increasingly difficult to find a decent antiperspirant. This one is a wonderful exception. I am obsessed with the fresh scent, it keeps me clean and fresh all day, and it doesn’t rub off or stain my clothes. This one is definitely a winner.